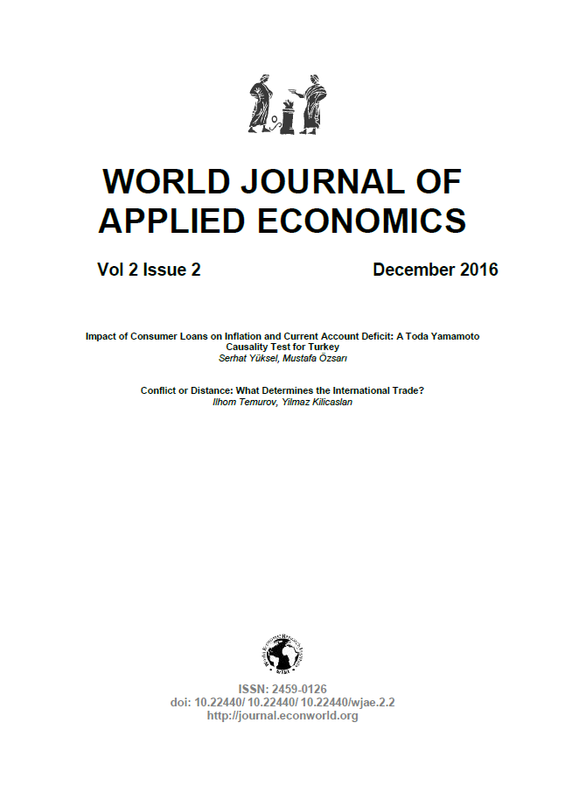 This paper aims to examine the impact of distance and conflict on the dynamics of Turkish international trade by using a gravity type model. Since the gravity model of international trade would work only if there is no conflict, we incorporate conflicts into the model. Three questions have motivated this study: (1) What are the determinants of trade performance? (2) How does conflict impacts international trade? (3) How does conflict between trading partners affect the impact of distance on trade? In order to explain the impact of different types of conflict on trade relations, we defined and measured two different types of conflict: Diplomatic and security. In our analysis, we also control for the impact of Arab-Spring on trade relations of Turkey. We use dynamic panel data models to explore the impact of conflict and proximity by using UN COMTRADE bilateral trade data of Turkey for the period 1990-2013. The estimation results show that while diplomatic conflicts have no significant impact on trade, security conflicts affect trade relations negatively. We also found that Arab Spring had a negative impact on the trade relations. Moreover, we found in this study that geographical distance reduces the negative impact of conflict on trade. Yılmaz Kılıçaslan, received his Ph.D. from Middle East Technical University Department of Economics in 2005. After working as assistant professor at Anadolu University Department of Economics, he moved to Working Lives Research Institute London Metropolitan University as External Research Associate in 2008. Then, he returned to Anadolu University and promote to associate professor in Faculty of Economics. His fields of interests include productivity and efficiency, industrial structure and development, labor markets and economic performance and productivity and competitiveness. He is editor of Econworld since 2014. Anderson, J. E. (1979). A theoretical Foundation for the Gravity Equation. American Economic Review, 69 (1), 106 – 116. Çakmak, H. (2013). Türk Dış Politikasında 41 Kriz (1924 - 2012). Ankara: Kripto Yayin. Deardorff, A. (1998). Determinants of Bilateral Trade: Does Gravity Work in a Neoclassical World? University of Chicago Press, 7 – 32. Değer, Ç. (2004). Türkiye-Avrupa Birliği ticareti üzerinde uluslararası politik gerilimlerin etkileri (M.S. dissertation, Ege Üniversitesi). Grossman, G. M. (1996). Comment on: Determinants of Bilateral Trade: Does Gravity Works in a Neoclassical World? The Regionalization of the World Economy. University of Chicago press, 29 – 31. Khudoykina, T. V. (1998). Peaceful settlement of disputes. Moscow Journal of International Law, 3, 52-60. Polachek, S. W. (1980). Conflict and trade. Journal of Conflict Resolution, 24(1), 55-78. Poyhonen, P. (1963). A Tentative Model for the Trade between Countries. Weltwirtschaftliches Archiv, 90(1), 93-100. Robst, J., Polachek, S., & Chang, Y. C. (2007). Geographic proximity, trade, and international conflict/cooperation. Conflict Management and Peace Science, 24(1), 1-24. Tinbergen, J. (1962). Shaping the World Economy: Suggestion for an International Trade Policy. Twentieth Century Fund.